This Sunday, as people across the globe come together to commemorate the 26th annual World AIDS Day, there are hopeful signs in the fight against this killer. Transmission rates have slowed and a diagnosis of HIV or AIDS is no longer the death sentence it once was. In fact, people who get proper treatment may never develop symptoms at all. It's been 32 years since the first mysterious cases of what turned out to be acquired immunodeficiency syndrome or AIDS first began to appear. Since then, the epidemic has killed 25 million people, almost 700,000 of those in the U.S. alone. 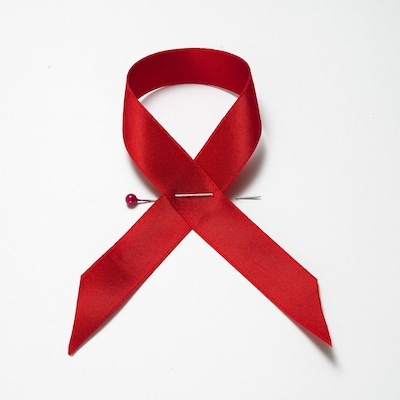 The year 2013 brought several successes in the fight against AIDS, progress which will hopefully mean still fewer infections and fewer deaths in the years to come. Here's a look back at the most recent developments in the field. In April, the U.S. Preventive Services Task Force issued long-awaited guidelines recommending routine HIV screening for all adolescents and adults aged 15 to 65. The 2005 guidelines recommended testing only for high-risk adults and adolescents as well as pregnant women. Hopefully, as the new recommendations are adopted, testing rates will go up, transmission rates will go down and more people will get into treatment early enough to save their lives. Currently, 46% of U.S. adults have never been tested for HIV and nearly 20% of Americans don't know they have the virus because they haven't been screened. Obviously, if you don't know you have the virus, you can't get proper treatment. In the United States, National HIV Testing Day is observed on June 27, but World AIDS Day also features free testing and counseling events around the world. More and better drugs means the mortality rates from AIDS continues to decline. An estimated 15,529 people with AIDS died in 2010, down from 21,601 in 2009. Although a five-figure death rate is still shocking (and not in a good way), this is a big improvement from an all-time high of 50,877 in 1995. Among the drugs approved this year is Tivicay, one of a class of medications called integrase inhibitors. "It's once a day and free of any important drug interactions and it's the most potent drug we've had so far," says Leonard Berkowitz, MD, medical director of the Program for AIDS Treatment and Health and chief of infectious diseases at The Brooklyn Hospital Center in New York City. And drug regimens continue to get simpler, with fewer pills at a time and fewer doses needed each day. "This makes adherence to regimens better," says Berkowitz. "Treating HIV patients is all about adherence. If they take their medications, they do well." Thanks to Obamacare, insurance companies can no longer refuse healthcare coverage to people with pre-existing conditions. That means people with HIV/AIDS should be able to get coverage, at least they should once all the wrinkles are ironed out. "Full implementation of the Affordable Care Act is getting HIV-positive patients onto the exchanges," says Michael Horberg, MD, director of HIV/AIDS at Kaiser Permanente and immediate past chair of the HIV Medicine Association. Only 17% of people living with HIV have private insurance and about 30% don't have any coverage at all, not even government-sponsored insurance. And while the cost of HIV/AIDS drugs is coming down, treatment can run $10,000 or more a year. Tivicay will cost an estimated $14,000 a year. In March, researchers reported the first "functional cure" of HIV in a baby born two-and-a-half years ago in Mississippi. The so-called Mississippi Baby--no one knows if it is a boy or a girl--was treated for HIV unusually early in life, within 30 hours of birth. Medication yet was later stopped, but the virus is only detectable with super-sensitive tests and, importantly, is not replicating. Other hopeful stories have trickled in during the year. Two HIV patients who received bone marrow transplants for blood cancer also have no detectable HIV even after discontinuing antiretroviral therapies. And 14 French patients who started HIV therapy within two months of becoming infected also discontinued medications without--so far--a rebound in virus levels. "If you can catch HIV early enough in the infection by giving medication, there's some data suggesting that early intervention makes a difference in the disease course," says Michael Kolber, MD, PhD, professor of medicine and director of the Comprehensive AIDS Program at the University of Miami Miller School of Medicine. So much has happened over the past few years, in fact, that HIV/AIDS experts are cautiously whispering the word "cure." "There is a lot of talk about a cure which is a word we've very rarely ever used in this field," Dr. Berkowitz says. "It's a bit premature and overly optimistic, but there have been some very exciting turns leading to this optimism."